It’s that time of year again: tax season. For some people, it’s a time to hunker down so that they can pay the remainder of their bill. But for people who have a refund coming to them, it’s a time to buy the things that they’ve been thinking about purchasing for a year or more. If you’re getting a refund, February and March are great months to purchase a new or used vehicle. If you need a vehicle that’s new to you, whether it’s because your current one is old and breaking down or because one of your children needs a car to get around, you need to determine how much money you can afford each month on a car payment. To figure out how much you can afford, you can use an online car payment calculator. With this tool, you can type in how much the vehicle costs, the down payment, any rebates, trade-in value, sales tax percentage, interest rate, and the length of the loan. With this information, you can figure out how much the vehicle will cost you in total, then you can figure out how much you’ll pay each month to determine whether or not you can afford a particular vehicle. If you’re buying a used vehicle that’s more than a few years old, you should also make sure that you set aside a rainy-day fund to cover car repair bills. If you’re buying a new vehicle, while it’s possible to have unexpected expenses, your warranty will likely cover most of it. If you’re getting even a couple of thousand dollars back on your tax return this year, you have enough money to make a down payment on a vehicle. If you’re buying a vehicle that’s less than $10,000, that can considerably cut down on your monthly payment. And if you’re buying a new vehicle or leasing one, even a couple of thousand dollars can show the dealership that you have the money to pay the monthly car payments, and even a few thousand off of the principal right away can shave months off of your total car payment throughout the life of the loan because you’ll spend less in interest. If you already know how much you’ll be getting back on your tax return, or if you even already have the cash in your bank, you can start crunching the numbers right away. If you’re unsure how much you’ll be getting back, go ahead and shop around to see what’s available. Many people spend a couple of months looking at cars before they actually buy one. And if you do some research ahead of time, you’ll be in the perfect position to buy the car once you have the exact numbers and your tax refund money in your hands. 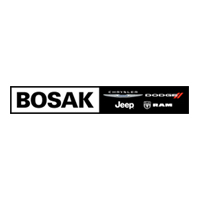 Whether you’re looking to buy a new or used vehicle, you can come to us at Bosak CDJR and take a test drive on a vehicle that you think you might be interested in. All of our sales staff are friendly and knowledgeable about cars and the sales process, and they’ll be happy to help you find the best vehicle for you.